Here is Ian Chung's complete formal curriculum vitae (128K). Socio-cultural empathy with the audience at all levels is a good basis for audience engagement, but this empathy needs to extend beyond ethnocentricity. The culture of shared history, profession and language are also highly desirable for audience empathy. All these qualities, when combined with a personal sensitivity and high-level people skills, are even more desirable than topic knowledge. Ian Chung’s transcultural background, his living the history the last sixty decades, his professional background and occupational diversity enables him to reach any audience. His particular attitude and approach to teaching has been honed through years of experience and allows an unusual level of flexibility. All this is rounded out by personal attributes of passion, sensitivity, communication skills and a sense of humour. Ian Chung can get on with, and through to, any audience. Ian Chung has had a passion lasting five decades for the human condition, the most human of sciences that has exploded in knowledge in the last two decades yet still has only scratched the surface of what is to be known. His fascination is in how the mind and brain function in creating emotions, thoughts and memories, and the behaviors, values, attitudes and beliefs that create the individuality of a person. Understanding how this fundamental functioning goes wrong requires knowledge, skill, sensitivity, experience and wisdom. Assess the therapist that you choose carefully! Here is the outline of an address given to professional medical audiences both in Australia and overseas by Ian Chung. That outline, titled "Depression and Anxiety", is in downloadable PowerPoint form (247K). Ian Chung was invited to address a gathering of distinguished Australian legal practitioners on the topic "Stress and the Law". Here is an outline of that address in downloadable PowerPoint form (113K). Ian Chung has been featured in articles in the Sydney Morning Herald’s “Good Weekend” and “Summer Spectrum” sections (namely “Our Dr Rock” and “Giving Them God” articles respectively). He has been interviewed by Richard Fidler on 702 ABC Sydney Radio’s “The Conversation Hour” and by Damien Carrick on ABC Radio National's "Law Report". He has also appeared on the Nine television network’s “Midday Show” and twice on ABC TV’s “Four Corners”. 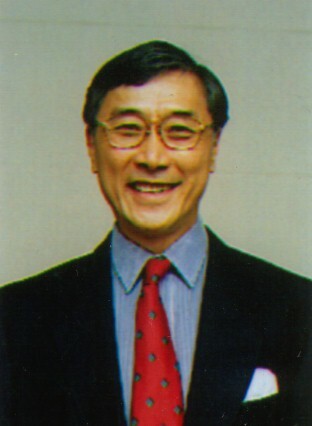 In his first appearance on the prestigious national current affairs television program “Four Corners”, Chung provided an expert view of mental illness. He established some guidelines to identify and manage depressive illness and, in particular, highlighted the case of one of his patients, award winning cartoonist and noted portrait artist, political commentator and author, Bill Leak, who spoke frankly and courageously about his battle with depression and alcoholism. Chung also gave insight into the high prevalence of these conditions amongst the highly talented such as Michaelangelo, Milton and Churchill. In 2007 he again appeared on “Four Corners” as an expert commentator on a patient who was a case study in a program that examined the scourge of alcohol abuse in the everyday life of the general community. Ian Chung has been on the Editorial Board of the medical journal Medicine Today (previously Modern Medicine) for two decades. He has written for medical publications including The Family Physician, Modern Medicine, The Medical Observer, The Australian Doctor, The Drug and Alcohol Review, The Australian Journal of Forensic Sciences and the Australian Journal of Clinical Experimental Hypnosis. In March 2010 the Depression and Anxiety Working Group (a collaboration between five major Australian national law firms and the College of Law), as part of its resilience@law program, launched a short video on mental health in the legal profession. This followed research that highlighted the prevalence of depression and anxiety in law students and the legal profession. The objectives of the resilience@law program are to build awareness and education, remove the stigma of depression and make available self-help strategies, support and resources. Ian Chung was given the responsibility of providing his expert professional perspective on the many issues raised by the discussions in this video, in which he is a featured commentator. The video has been produced in DVD format and is also available online. Resilience is often confused with strength. Then to implement the strategies to deal with what you see requires talent and skill. Therefore, resilience is not just about being “strong and tough”. Believing that you can stand up to all the forces that abound will lead the self-deluded to crack like the oak tree, whereas the bamboo will bend, to stand again when those forces abate. Leadership needs all of flexibility, insight, talent and skill - and more. At the top of the list is the responsibility of setting the culture, the one responsibility that cannot be delegated. The boss’ attitude, and how that person behaves and thinks will permeate the organisation. The organisational tone and the environment of the workplace will influence relationships in the firm, staff stability and the quality of work and productivity. It is in the self-interest of the leader to optimise all these factors. enough health, work, income, rest and play - but to know when enough is enough. First and foremost: some people don’t know that they are "sick"; they think that to feel, think or behave they way they do is "normal". Other people don’t want to know they are "sick". It is too scary for them to think that there is something wrong. What might happen and what if others were to find out? Others suspect something is not right but don’t want anyone to think that they aren’t OK. The fact is that most of these other people know that the subject individual is not OK. Some people know that they don’t feel right but are determined that the cause has to be something acceptable to them and won’t make them look bad in other peoples' eyes or fits in with what is fashionable in the magazines at the time. Some people know something is not right and try all their own remedies but the trouble is these remedies are rarely good enough, or they come out of the latest magazine or self-help book and are probably the latest half-baked fad. Some people do go seeking help but go to the wrong places. This "wrong place" could be the wrong medical specialist or some alternative therapist who has one idea of treatment and uses this same treatment on everyone who comes through their door irrespective of the diagnosis. A case in point is the current fad for "Life Coaches". Some people who are having trouble taking responsibility for their own lives seek someone else to take responsibility for them. Setting goals, writing schedules, making "to do" lists, making commitments, writing budgets are all fine. But what if the problem lies elsewhere? you have a social anxiety disorder? you have a fear of confrontation? there is an attentional problem? there is a lack of people skills? your life is out of balance? your creativity is deficient due to a narrow life? there is a family of origin problem? your alcohol or drug use is the problem? there is a depressive or anxiety disorder? there is a personality problem? Is the life coach capable of making the diagnosis? What if you have a dependant personality? You would make a wonderful long-term customer of the life coach because their role is not to rectify this basic problem. Their role is to keep you on track week by week, so you can go to them regularly to check your every decision. You won’t have to learn to make your own decisions. First, some self-honesty is the answer. Look at yourself objectively and see what you can see for yourself. There is no short cut here, so forget about the clairvoyant. Finding an answer will take self-discipline, time and courage. Laziness may be one of the barriers here. Don’t expect a quick fix or getting someone to wave a magic wand over your problem. Next, attack your own prejudices that might get in your way of doing the right thing for yourself. The trouble here is that few are really aware of their own biases. Think about the person who says, "I’m not prejudiced but..."
Then do a proper research of what is available to help with the type of problem to which you are subject. Here, be wary of the "false prophets" and the latest fad and the well-meaning friend who knows just what you should do. and, in short, why you continue to do as you do with the same consequence.